I used Technique Tuesday‘s I Give Thanks. I rarely make a horizontal card and I was cracking up because I didn’t even intend to here! 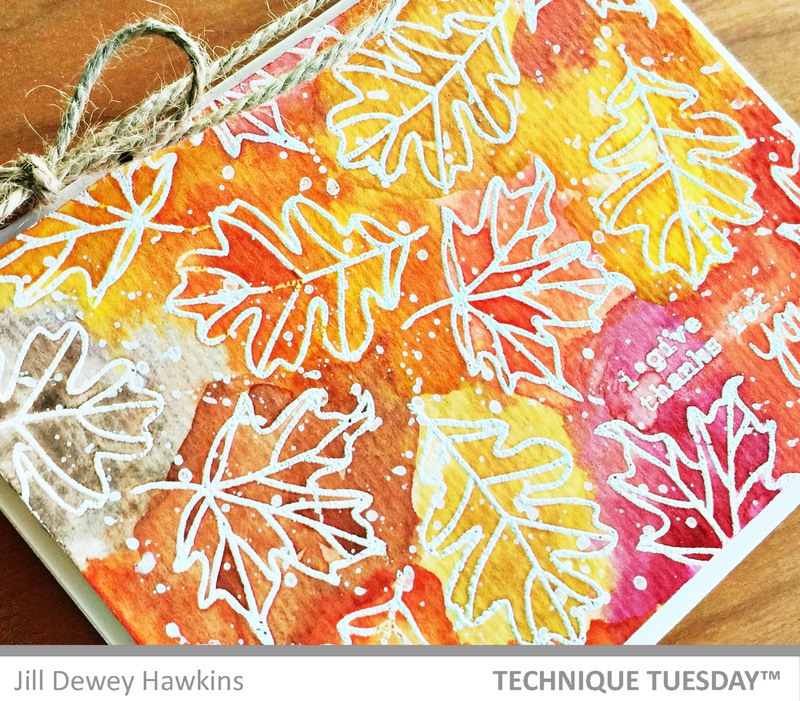 I stamped, embossed, and watercolored these great leaves. I didn’t realize its orientation til I went to put it on a card base. I think I was a little tired! Haaaa! Thanks for stopping by! Enjoy the last weeks of summer!